The miniseries is based on the bestselling book “After Camelot: A Personal History of the Kennedy Family 1968 to the Present” by biographer J. Randy Taraborrelli and will be airing on the REELZChannel in April. 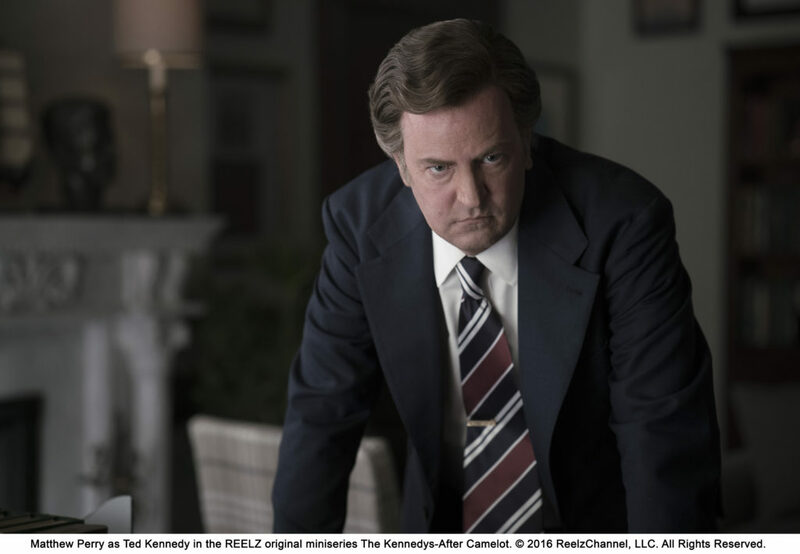 The Kennedys-After Camelot also stars Matthew Perry as Ted Kennedy, Alexander Siddig as Aristotle Onassis, Kristen Hager as Joan Kennedy with Diana Hardcastle and Kristin Booth reprising their roles as Rose and Ethel Kennedy from the Emmy Award®-winning miniseries The Kennedys. Jon Cassar (The Kennedys) and Katie Holmes are directing from scripts by Stephen Kronish (The Kennedys) and Sandra Chwialkowska (Lost Girl). Holmes and Perry spoke about how “incredible” it was to work on the project during the REELZChannel session at the Television Critics Association winter press tour on January 13. EUR/Electronic Urban Report asked the actress if exploring the world of Jackie was also transformative in any way. Michael Prupas, Katie Holmes, Matthew Perry, Jon Cassar, Stephen Kronish, J. Randy Taraborrelli, Evan Tussman, Irene Litinsky and Jonas Prupas serve as executive producers on the four-hour mini-series, along with Jonathan Koch and Steve Michaels of Asylum Entertainment and Stan E. Hubbard, REELZ CEO. 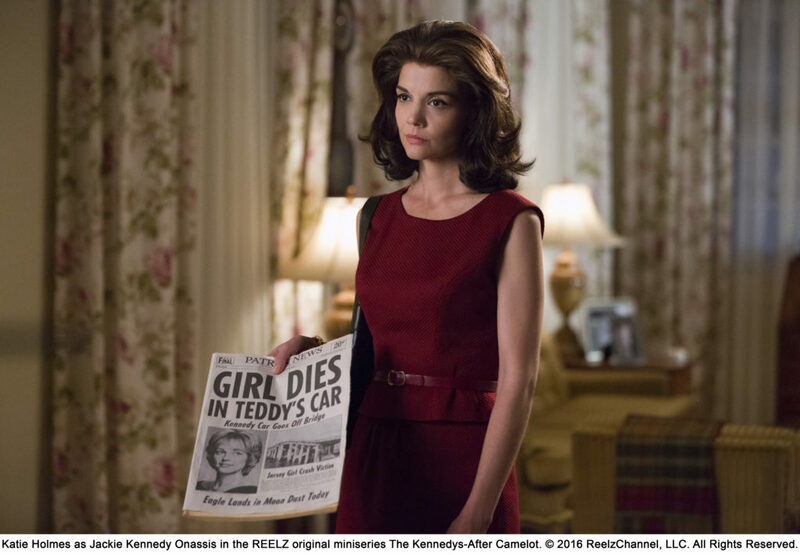 The two-hour world premiere of “The Kennedys: After Camelot” will air Sunday, April 2 at 9pm ET/ 6pm PT. The two-hour conclusion airs Sunday, April 9 at 9pm ET/ 6pm PT.